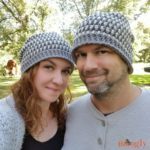 I do love making baby hats, and it feels so good to give them away to those who need them! 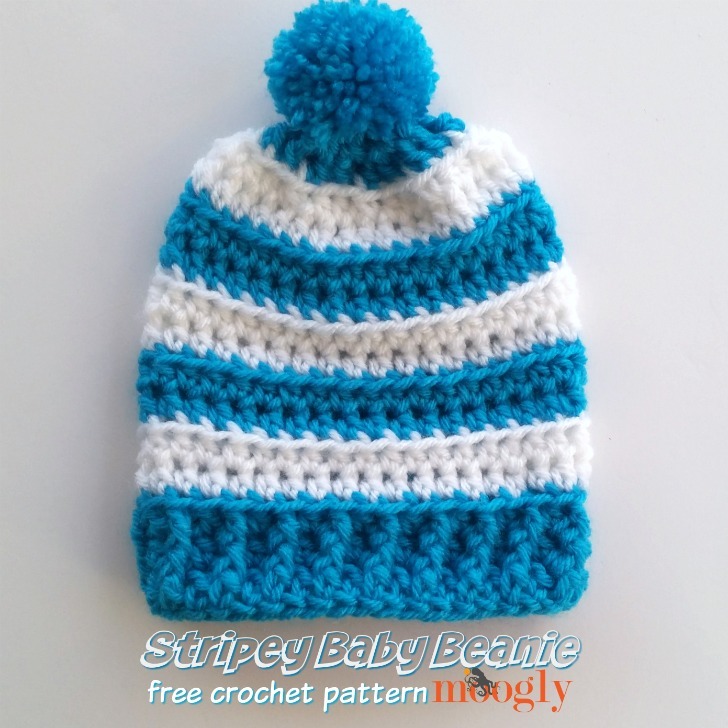 This little Stripey Baby Beanie was made for the Yarn Heroes 2016, and it makes a fantastic topper for any newbie! Now is the perfect time to get the good feelings from crafting for charity – and this is an inexpensive and quick way to help! Round 6 – 11: Repeat Rounds 4 and 5 changing color every 2 rounds. Round 12: With Color B, repeat Round 4. Round 15: Ch 1, hdc2tog around, join and break yarn leaving a long tail. (9 sts) Use long tail to gather crown and cinch closed. 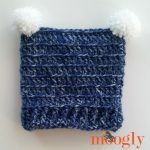 Optional: Make pom pom with Color B and sew to top of hat. And that’s that! 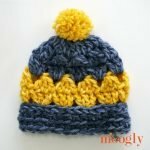 I hope you enjoy this pattern, and make a couple to donate as well as for your own little ones! The first part of the pattern telling you how many stitches for foundation row seems to have been left out and is it a chain st.
FDC is an alternative to starting with a chain. What’s labeled as Round 1 is the complete instructions for beginning the hat. If you would prefer alternative instructions, you could start with a chain of 38 and make 36 dc and join. FDC stands for foundation double crochet. 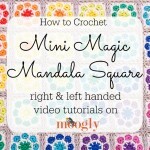 You can learn how to do this from a tutorial it makes a nice edge.